Uninstalling a Linksys network adapter from your computer means that you delete the drivers or uninstall the setup software used to install it. 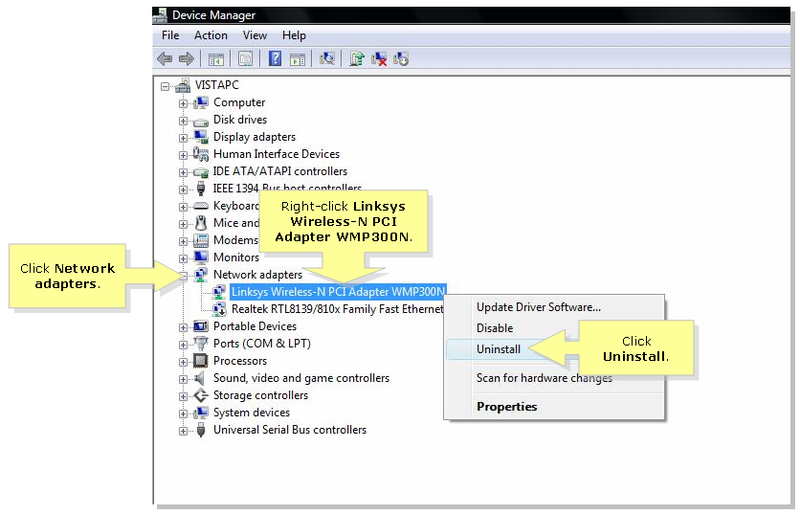 NOTE: If you used a Setup Wizard to install the Linksys network adapter, you may delete it through the Uninstall a program option under your computer’s Control Panel. For detailed instructions on how to uninstall the driver of your adapter from a computer with Windows 8 operating system, click here. Click the Pearl button located on the bottom left corner of the screen. Enter “device manager” in the Start Search field, then press [Enter]. On the Device Manager window, look for Network adapters and click the + sign beside it to expand the list. Right-click the Linksys Adapter or the name of your adapter then click Uninstall. NOTE: In this example, we used the Linksys Wireless-N PCI Adapter WMP300N. 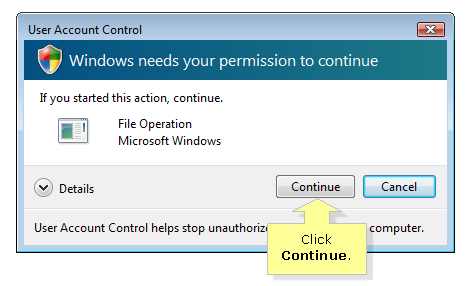 On the Confirm Device Uninstall window, check Delete the driver software for this device then click OK.
QUICK TIP: In case the system still shows that the drivers exist even after uninstalling it, try to repeat the uninstall process again in safe mode. To get into safe mode, shut down the computer, then power it ON and press F8 while it is booting up. Select safe mode from the list of options. NOTE: Safe mode on a Windows-based computer is a diagnostic mode/setting and is intended to fix most problems within the operating system. The purpose of safe mode is to allow you to troubleshoot your operating system and determine the cause of any system failure. 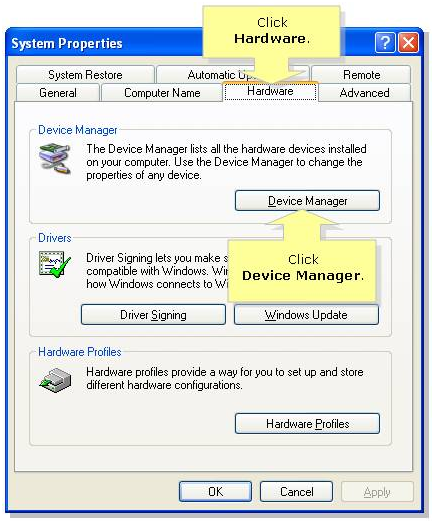 Select the Hardware tab then click Device Manager. Click Network Adapters to expand the list. Right-click on the Linksys Adapter then click Uninstall.